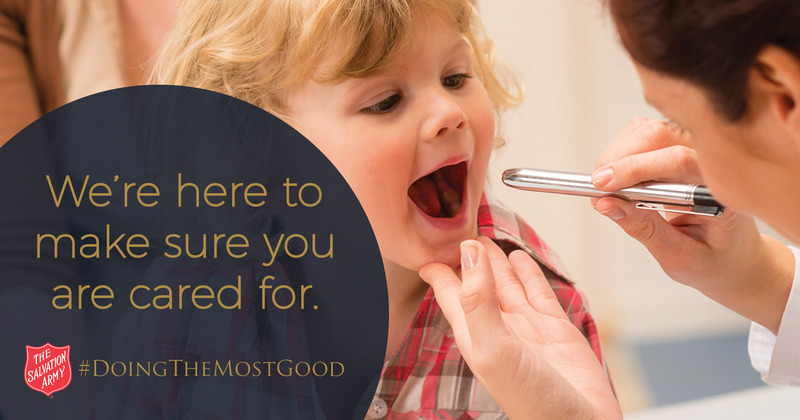 Are you concerned about meeting your child’s health needs? We can help! Referring children to The Salvation Army Care Management Program: We will be accepting referrals for children effective December 1, 2016. Are they under the age of 21 and Medicaid eligible? Do they have 2 or more chronic health issues such as diabetes, obesity, allergies, asthma or a heart disorder? Why is Care Management Right for My Child? Do you have a child with physical or mental health needs? Is your child struggling in multiple areas? Have you run into roadblocks trying to help care for your child and family? Let our care managers help you! Your care manager will help you and your child participate in an ongoing planning process that wraps services around your child and family in a way that makes sense and is comfortable for you. You’ll figure out what works and what doesn’t. You will have the support of your care manager 24/7. We understand that everyone is different with differnt needs. We want everyone to have a voice and a choice. Your care manager will make sure your specific needs are met according to your preferences. How Can Your Care Manager Help You? doctors, dentists, mental health providers or specialists. to meet and talk about how we can all work together. Being available to help you and your child whenever needed, 24/7. Help improve the care your child receives in medical and mental health services. Reduce other barriers to the family such as unemployment, housing and access to health and counseling services. We work with all service providers as your advocate, to help streamline care and help you get the best fit of services for your family. Continuation of care from inpatient to other settings, including follow-up services. Individual and family support guided by you as the expert on your own family. Referrals to community and social support services. We link you to resources to help support you, your child(ren), and your family. We will help you learn to navigate patient portals and use technology to access you and your child’s medical information. Click HERE for additional resources and a complete list of qualifying chronic conditions.